Today I am showing off The Last Piece of Hope or at least the last from us. 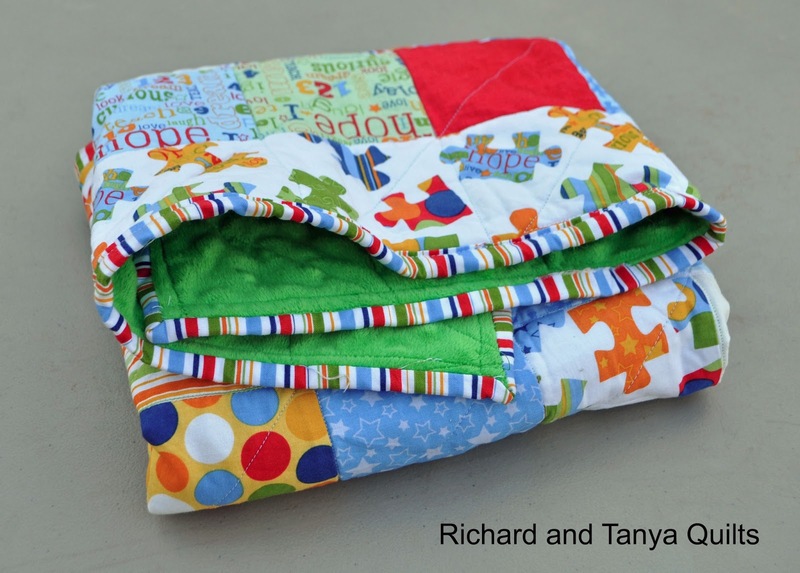 Last Christmas I bought Tanya Pieces of Hope a Riley Blake fabric line to show hope for those that have or want to support the Autism Cause. My 2 boys both have Aspergers Syndrome (high functioning autism). We made 2 lap quilts you can see them Here and Here but we had a little fabric left over and so Tanya made us a baby quilt. 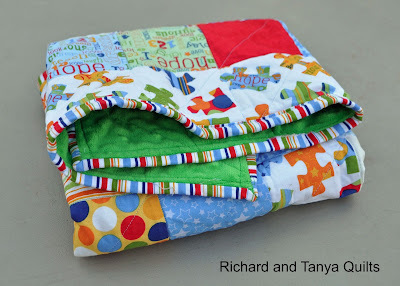 I think maybe I pieced it, but Tanya quilted it and bound it. I think this is her 3rd to quilt and 2nd to bind. She told me it looked so ugly afterwords that she could not sell it or give it away and we are stuck with it. It is not perfect, but it is not as bad as she makes it sound like. There are some puckers in the back, but hey I can live with it. Any way I love it and I am proud of Tanya. As I tell her its practice, practice, practice to get better at quilting. In other news this is one of the quilts laying around that is almost, but not quite done. 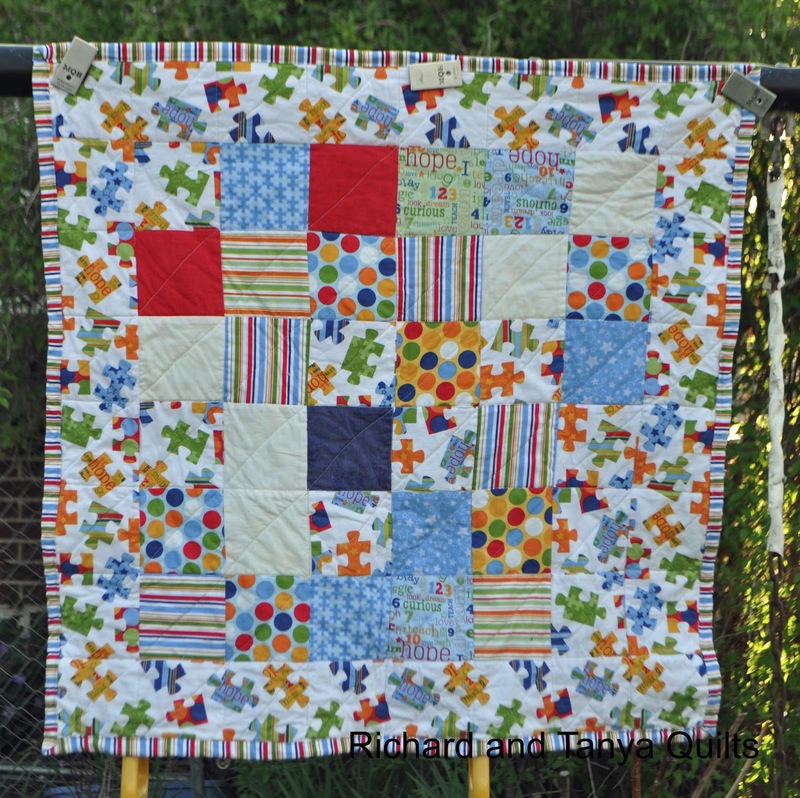 Back in March I finished This quilt for Rebecca for her last year's Christmas present. It was a larger twin size quilt (while large in my standards of lap and bay quilts) any way when I got done with Rebecca's quilt I had a bunch of left over blocks some were exactly like the one's in Rebecca's quilt, others were made out of leftover material (like that top left bock in 4 different pieces). 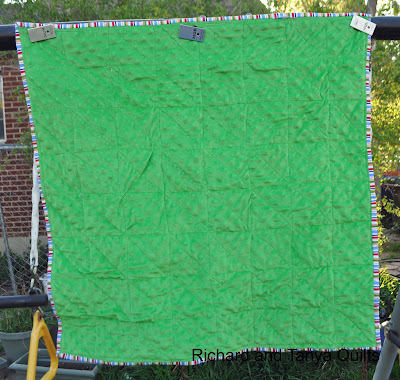 Any way this is a decent crib size quilt and it will be for Julia as she shares the bedroom Rebecca is in and they can have matching quilts (once she is big enough for a quilt in the bed). Can I make a quilt only sewing by hand? 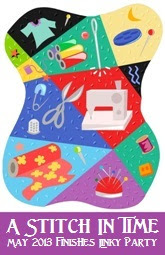 I don't have a sewing machine but I want to try quilting. 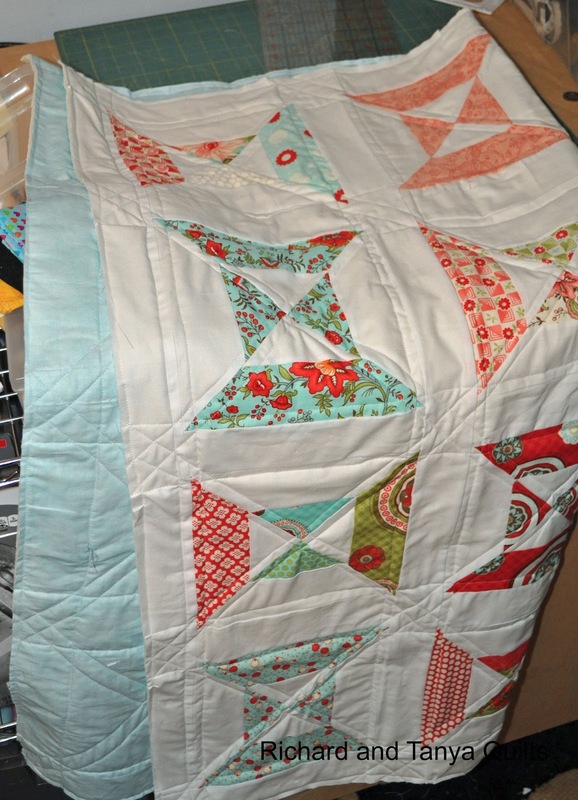 Cute quilt, Minky is HARD to work with, you have to pin it A LOT when quilting and maybe denser quilting too. I've only done a customer's quilt on the long arm and she washed it twice plus I stretched it taught really well, turned out nice. Tanya, you did a great job. Minky is really fiddly to work with. It stretches and shifts a TON. I think you coped very well. Love the quilt! 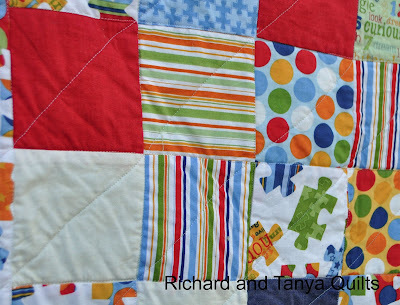 Such bright cheerful fabrics! Thank you for linking up and congrats on a great finish! oh how nice that you had leftovers and got another beautiful, matching quilt out of it. perfect! I love how the white makes the turquoise and red just pop! 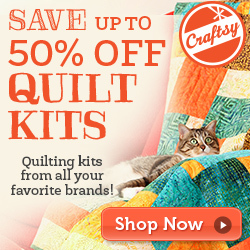 And I feel like I am the only one in the world who has never quilted with minky! Sounds like lots of great tips!